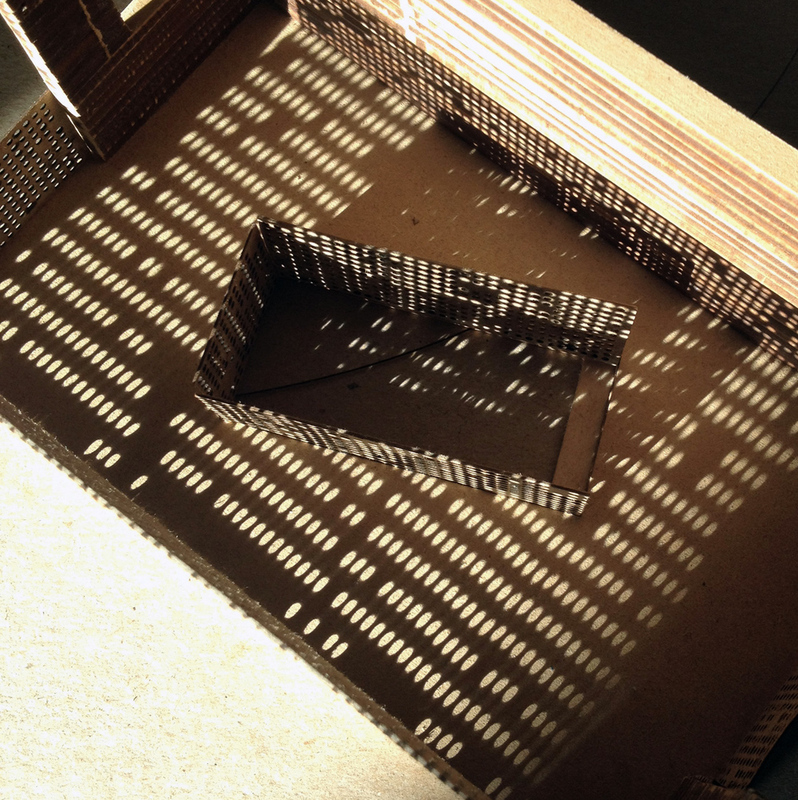 This two-week project imagined a series of freestanding rooms along the historic Camino Real de los Tejas connecting Austin and San Antonio in Central Texas. This room is one in a series of ten rooms along a proposed walking and biking trail. This structure fills a visual void between historical structures outside of New Braunfels. Trail users would see this room from afar and may seek refuge within from the harsh Texas sun. Fall 2015.